Do you skype with Hangouts or with Skype? If you skype with Skype, here's a bit of good news—version 5.6 is now available on the Play Store. This release should make life easier for skypers who keep multiple chats going at all times. The Recent tab now shows more conversations on screen at once. 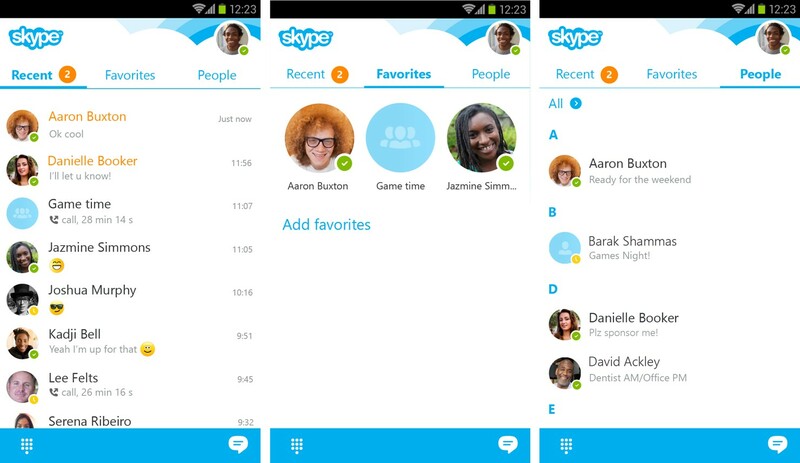 Skype has also made tweaks that better show when your friends are online regardless of your location within the app. While we're talking about looks, those round avatars that have been around for a while in chat screens and the contact list will appear more consistently elsewhere in the app, such as on the Favorites tab. Conversations should be easier to read now that Skype has altered the color of chat bubbles to make text more visible. If the Play Store isn't pushing out the latest version to you just yet, you can download the app directly from APK Mirror.